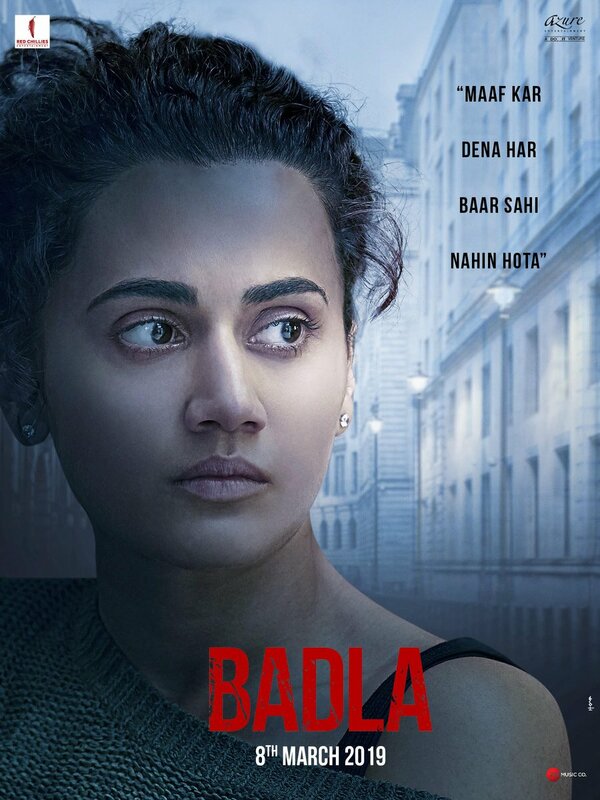 Check out the official posters of BADLA featuring Taapsee Pannu & Amitabh Bachchan. Co-produced by Red Chillies Entertainment. 8th March 2019 release. Revenge is biggest emotions of Indians after love and Bollywood has capitalized on it many times, let's see how they fare this time. RCE, the name is enough to tell what its result could be. Baadshah, yeah I never wanted to be right about zero or even jhms for that matter. But sadly the writing was on the wall. Another dud from RCE coming, who even cares about such movies? Make some social entertaining movies, drama, comedies, smaller budget, medium level stars and get some sort of hold interest of wasting time like this. Looks good but we all know it will be a BO failure. But the content of the movie might be good. Amitabh & Taapsee returning together again after Pink. Looks like sureshot success to me. 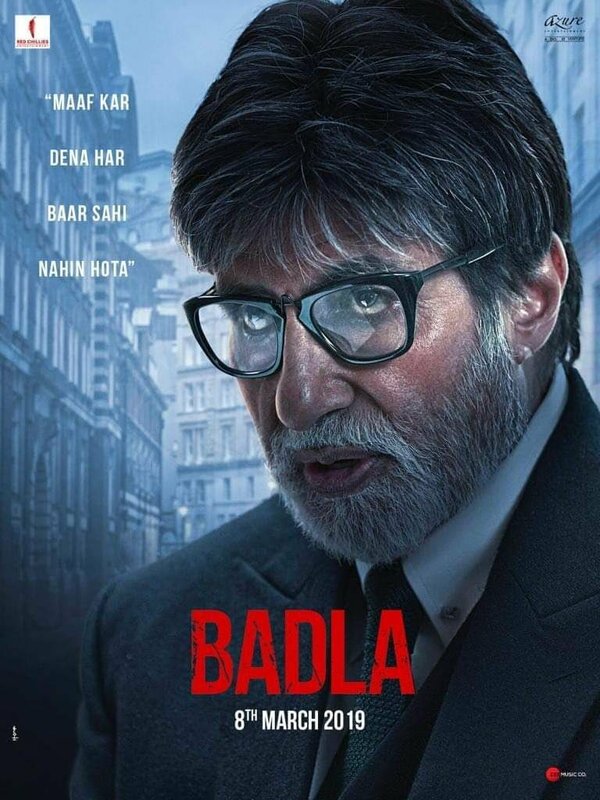 Teaser picture from the upcoming film Badla starring Amitabh Bachchan & Taapsee Pannu. 8th March 2019 release.